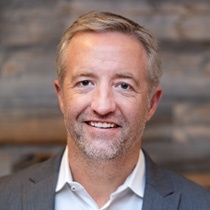 Aaron Loehr is president and chief executive officer of StrataCore. He is a 20-year veteran of the internet infrastructure, data center, technology and telecommunications industries, with a track record of successfully guiding major expansions, strategic partnerships and leading complex technical transformations for both public and private companies. Prior to founding StrataCore, Aaron served in senior roles at ColoCenters, Sprint Business and Savvis. He has extensive experience in contract negotiations and best practices surrounding enterprise IT Infrastructure architecture. In addition, he has personally toured 190 data centers/carrier hotels. Aaron is active in the Entrepreneurs Organization (EO), Channel Partners and other leadership and industry organizations. In his free time, Aaron enjoys boating and is a certified captain for vessels up to 30 tons. He also likes to fly and has his solo aircraft pilot's license. Aaron is a Seattle native and a graduate of Whitman College.